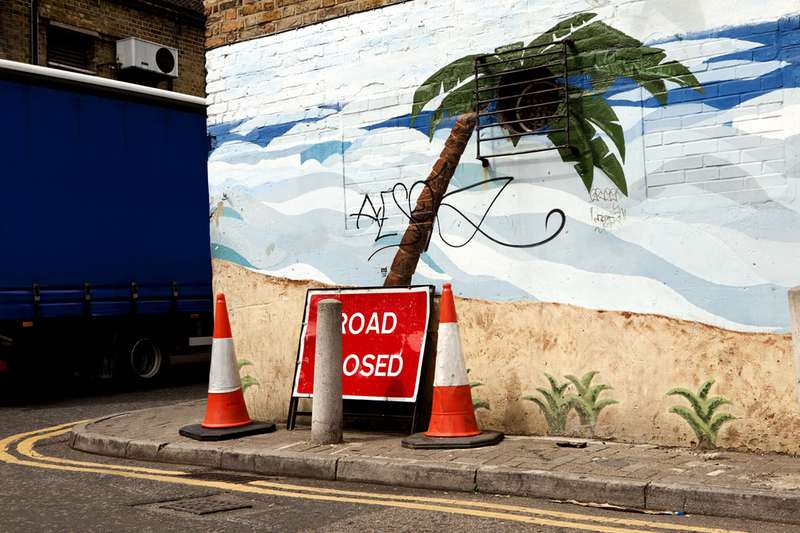 Lorenzo Vitturi’s “Dalston Anatomy” has seen a nearly unparalleled foray into an examination of East London’s pluralistic social patterning through the remnants of its populace’s debris. 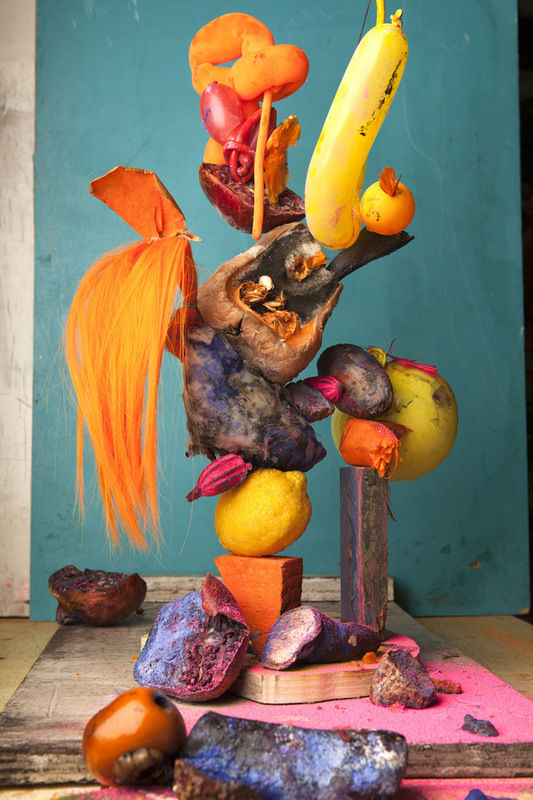 Focused mainly on the ephemeral passing’s of the Ridley Road market, the work examines leftover consumer ephemera…rotting food, scraps of paper, dust, hair… a nascent reliquary for 21st century consumerism. Many of the totems of this dialogue are focused on the Nigerian, Pan-Carribean, and Anglo-Asian communities within East London’s vibrant social taxonomy. This same community is currently being forced to re-examine the possibility of life under east London gentrification. Over the past ten years, Dalston has become a magnet for new wealth and the tax of higher earners pushing much of the community out for re-development. Dalston Anatomy has succeeded in recording… obliquely and artistically the metaphors of social decay and vibrancy in equal measure. I caught up with Vitturi about his practice in making the work. BF: Can you describe your methodology for this body of work? I believe it was collated in Dalston Market, a locale of familiarity for many young artists in London? LV: I like to compare my process to that one of a visionary anatomist. To understand this you have to imagine the market, its products and its people like a whole single body, which I dissect using the camera as a surgeon’s knife and my studio as a laboratory. During the anatomy process I selected the elements/fragments which I thought were more interesting, exclusively in terms of their shape or colour. Following their selection, I brought all these fragments in my studio and I mixed them all together, during a sort of promiscuous game where sculpture, collage and painting melt together, and I recreated a series of new anatomies, whose features only exist in my own visionary world. The final output of the process is a heterogeneous series of images that mix different languages and photographic approaches- from snapshot and portraits taken on the street to photos of sculptures – from photographs of collages to scans of found materials. Everything has been edited together trying to create a fluid flux of images using colours and anatomical similarities as a narrative binding agent. From the beginning I knew that the book was the best medium to communicate what I had in mind, therefore throughout the process of collecting images, forging atmospheres, making sculptures, I was already editing the book. This helped me to find a optimal visual coherence between all the different visual outputs I was coming up with. Jesus, Bacon’s studio image is to me the icon of the artist’s studio. My studio is quite an explosion of chaos as well but when the chaos starts to overwhelm the entire space I need to control it and go back to order, or I would not find space to sleep (I live and work in the same place). But I can tell you that while I was working on Dalston Anatomy, sometimes it really seemed that the market itself- with all its smells, materials and colours had entered into my studio. I remember coming back at home and having the feeling that I was walking into the market again. LV: In a way the physical proximity with the materials and the objects I collected helped me to build a deeper relationship with the market’s world and with the sculptures themselves: minute after minute I could witness these objects’ transformation and I could provide documentary evidence of their temporary life. Your images, though focused on difficult corporeal imagery is actually completely technical and proficient in the sense of lighting, compostion, etc. How does it work when you examine these technical skills under the duress of such “functioning dysfunction” imagery? 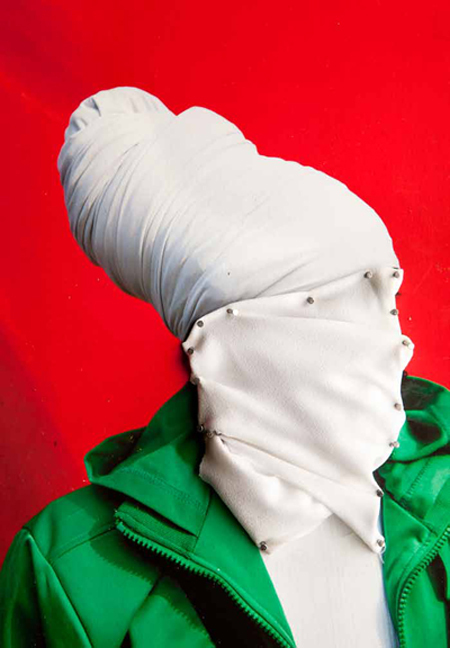 LV: In my work I like to play with opposites and conflicting elements. 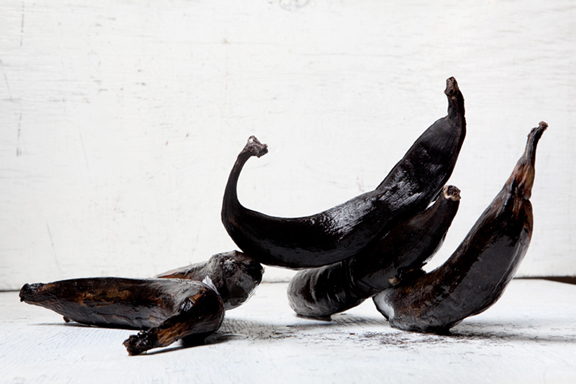 In the case of the Dalston Anatomy series the roughness of rotten matter and collected debris depicted through studio-photography techniques – which are usually used in commercial photography – helped me to impart a degree of artificiality. This gives to the final image the unexpected ambiguous and weird feel that I always try to have in my work. BF: Scultpure also plays a large amount of your work, especially in —-name of blue book I don’t have— Did you train in sculpture at all? LV: Not really. While I was in high school I did some sculpture but it was really classical, greek-like figurative sculpture, through the use of clay and chalk; so nothing to do with what I am doing right now. My interest in sculpture begun when I was working as a still-painter in the movie industry in Rome. The fact of building large scale sets by using sculpture, architecture and painting, and these sets’ precarious life (they were made to last just a few minutes, during the shooting) made me start to think about objects that are only made with the purpose of being photographed. Not only that, what I also find interesting about these sets is the fact that a same tri-dimensional object, or series of objects, must be viewed one single point of view, a certain very specific angle, in order to satisfy its initial purpose. A different angle will give you a completely new and alternative perspective on this same object. In western culture anything, in order to exist and gain legitimacy, must be visually represented according some increasingly strict aesthetic canons. In a way we are all becoming movie sets: it is so important to project the right external image to the outer public that we increasingly use instant imagery to portray fragments of ourselves, little portrays that conform to social standards. Fiction, which has always been used in order to transmit some key messages such as power and belief – through art and religious representation – has now been extended to every domain of society and the self. I find that fascinating and scary. BF: And do you keep the sculptures presented in the book? 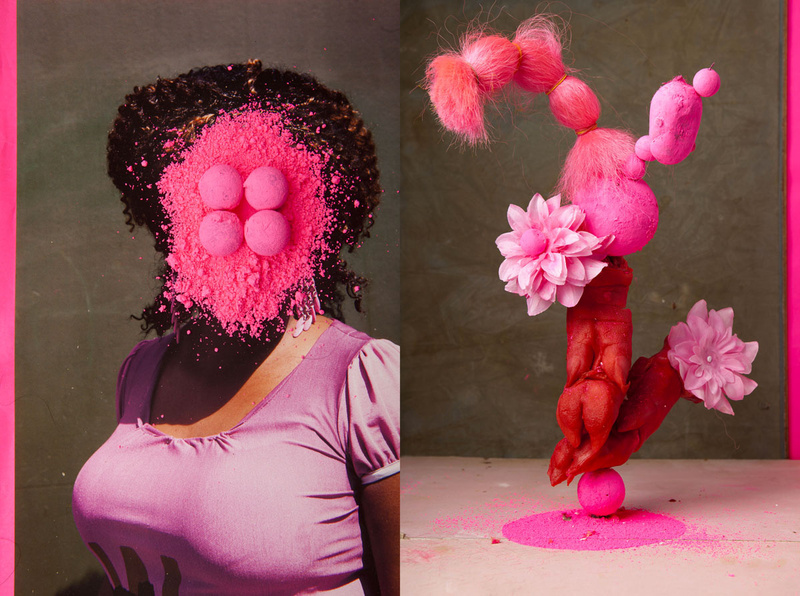 Are they sculptures on their own or do you consider them photographic prop only? Can they be shown together? LV: Most of the sculptures are made with organic materials that are the end of their biologic life and they don’t last more then a couple of days. In my exhibitions, in order not to loose this sculptural side of my process, I have projected a series of photo-sculptures that mix printed photographs and a tridimensional element made with the same materials I had previously used as the photographs’ scene. The result is a sort of “mise en abyme”, a weird loop where photography and sculpture merge together in self-reflexive embedding. 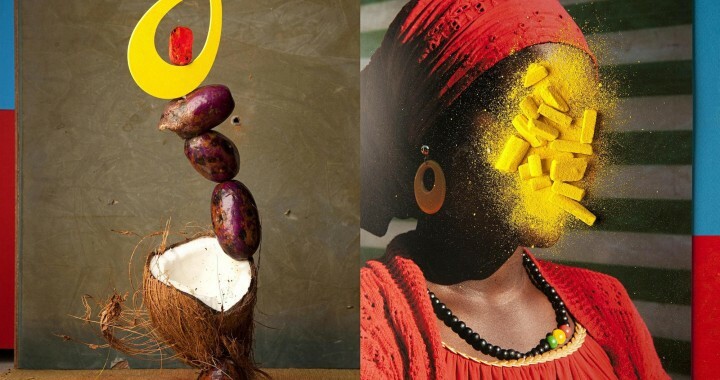 Photographs and photo sculptures by Lorenzo Vitturi. Posted in Interviews and tagged Archive Highlights, Brad Feuerhelm, Interview, Interview L, Lorenzo Vitturi.